I’ve accumulated dozens of behind-the-scenes books about film production, several of them about the making of “Terminator 2” (I’m a huge fan of Terminator 2!). 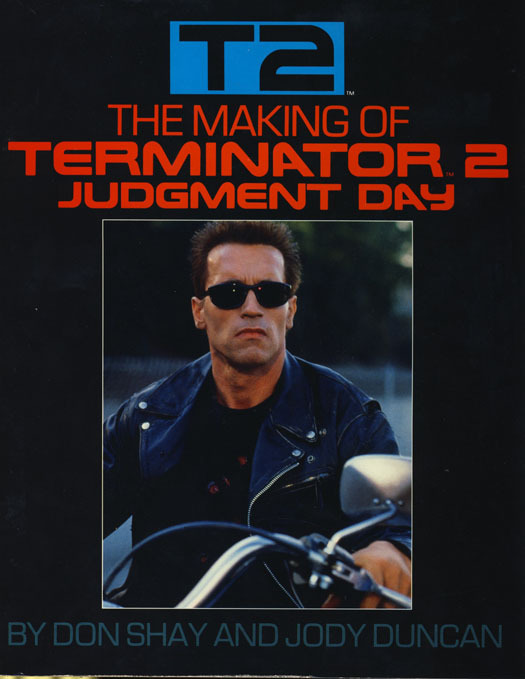 This book, “The Making Of Terminator 2 Judgment Day“, is different from others I own as it appears written during the production of the movie as opposed to several years later. It also contains several unseen on-set photos showing before, during and after filming. There are a handful of diary-style entries in the book giving the reader an instant idea of what was happening that day, as if you were standing on-set yourself. A poignant example is an entry dated 16th January 1991 (page 101), where a dream sequence involving Sarah and Kyle Reese inside Room 19 at Pescadero State Hospital discuss the future war and how weak Sarah really is (originally cut from the theatrical release, now included in the Special Edition). Actor Michael Biehn stands in a dreamy fog and says “There’s not much time left in the world, Sarah”. As it turned out on that day over in the Gulf, Operation Desert Storm had begun. This set a sombre mood across the entire crew, with the very real threat of a new and very real war brewing on the horizon. Watch the film again, and you’ll see Biehn really meant his line. There are also some photos in this book that I haven’t seen in others, such as behind-the-scenes of some of the miniature shoots by Fantasy II and 4-Ward Productions for the Future War shots and the Nuclear Dream shots. 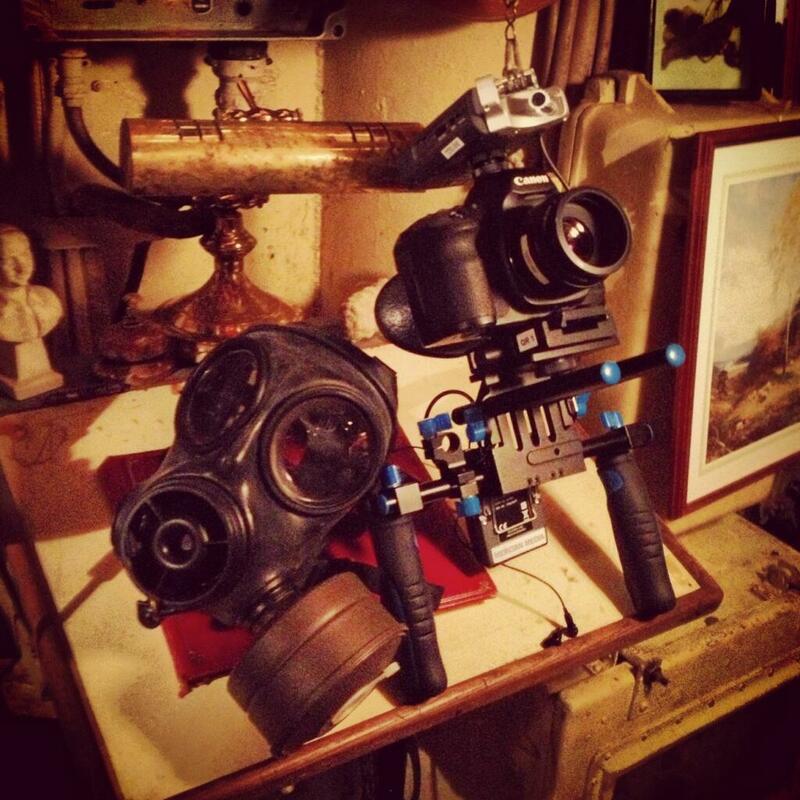 There’s also photos showing the action and scenes being shot but also included are the cameras and crew. A true capture of the film-making process. Did you deliberately shoot certain scenes early with Edward Furlong , so as to have him appear as young as possible on-screen? It appears that several times in the movie Furlong looks younger in vulnerable situations, and older in places where he displays a Leadership role. But was that deliberate? To explain a bit further, most movies are not shot the way they appear in the final film, ie “in sequence”, normally due to time and money. (A note to add here; Stanley Kubrick shot The Shining in sequence and they over-ran in shooting time and way over budget). This book partially answers my question. The writers give several dates and clues along the way, giving the reader the ability to work out some of the shooting order. Although the book doesn’t specifically answer my question, it did allow me to put together a timeline of the production schedule of where and when scenes were shot, and in what order. If you’re interested to know the shot order of Princapal Photography for Terminator 2, you can visually see it on this timeline over at Tiki-Toki. Despite the negligible cons I’ve pointed out It’s still a book any budding film maker should have. It does give good insight into the Production for this feature, and there’s information in here on Terminator 2 that I hadn’t come across in similar books. I’ve given it 4 out of 5 (Amazon review) based purely on the couple of times where information I’d just read appeared reworded and given again in another section. The photos are also mainly black and white, which is a shame. The book is also relatively short at 128 pages and abruptly concludes with what feels like a book-ended interview with James Cameron. If you’re a fan of Terminator 2, a fan of James Cameron or purely interested in the production process of feature films I do highly recommend this book, regardless of the 4 star rating. **Update; Jan 2014** I now own a unique collection of original paperwork for T2, including the Shooting Schedule (plus all revisions) and the call sheets for every day of shooting. It answers my question regarding the order in which the film was shot! When the project was funded I emailed the Production crew to offer my services with camera and recording kit on top of the funds I had already donated. I was pleased when they got back to me, asking if I could film some behind-the-scenes footage during the recording of the movie’s soundtrack with the Green Rock River Band. So in February I ended up in North London and got some great cut-away shots. After sending that footage off to them, they contacted me again to ask if I was free to shoot some more, and visit the actual submarine! Their pioneering work of constructing a way to photograph icebergs and landscapes over a period of years is something the world hasn’t seen before. What they achieve is a way of showing that our world doesn’t follow the pattern we expect throughout our four seasons. The icebergs and poles don’t “grow, shrink, grow, shrink” as you’d expect. It’s more “shrink, shrink, shrink, shrink“. This documentary clearly shows it. And just for reference, that rock of ice that breaks and churns in the opening of the trailer is about half the size of Manhattan. However, this blog isn’t a piece for or against the argument of “climate change”. What I actually wanted to write about is something far more basic, and less of a political storm. A few days ago I wrote on the failures of the local Odeon Cinema to reach the basic standard I expected from such a chain, citing poor upkeep and baffling design to their screening rooms. In order to accommodate more screens (and in turn take more money) it appears they’re sacrificing the real cinema experience for profit. I still await their reply. Less “Fanatical About Film“, more “Fanatical About Profit, Less So On The Customer“. But that’d probably be too long for their billboards. But the Institute Of Contemporary Arts succeeded where Odeon Cinema clearly failed. The ICA has only two screens, they have old fashioned movie theatre chairs (in sensible solid rows), their prices were good, their employees were great, the screen was clear and bright, the sound was perfect and it was packed to the rafters (literally).